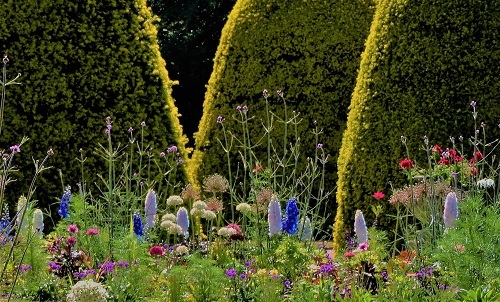 These Grade 1 historic gardens at Shugborough date from the 18th century. 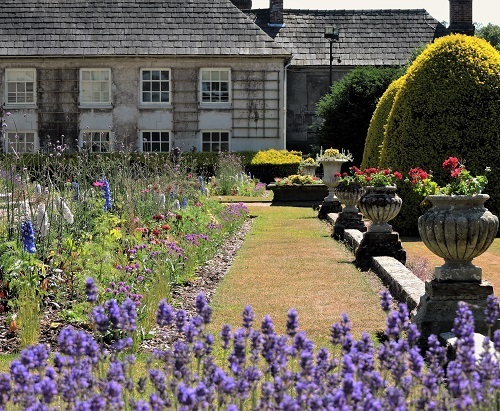 At Shugborough Hall there are formal terraces with lavender, yellow roses and grey foliage as well as a Victorian style rose garden. 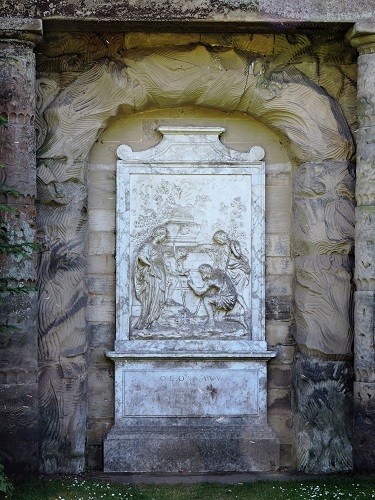 Temples and monuments extend into the landscape and are among the first neo-Greek style buildings in England. In Spring and early Summer colour is provided by rhododendrons and there are also herbaceous borders which look good in July & August. Woodland walk and guided tours of the garden are available. There is a great childrens play area and a fun quiz trail. 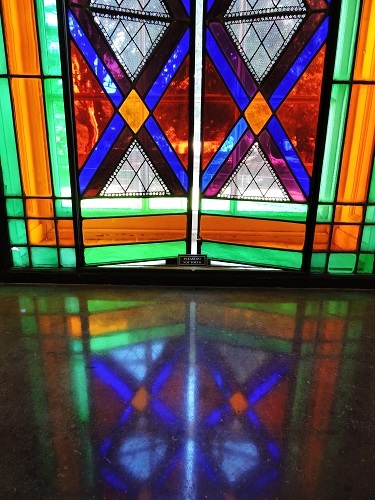 Take time to visit the wonderful historic house and its beautiful rooms. You can also now wander through the private rooms of the late Lord Lichfield. The newly restored walled garden with Gardener's cottage. 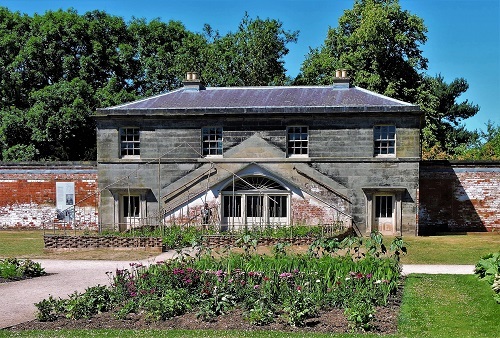 NT 2019 Shugborough Hall & Garden Open most of year - see Shugborough website for details. Restaurant, shop, disabled access. 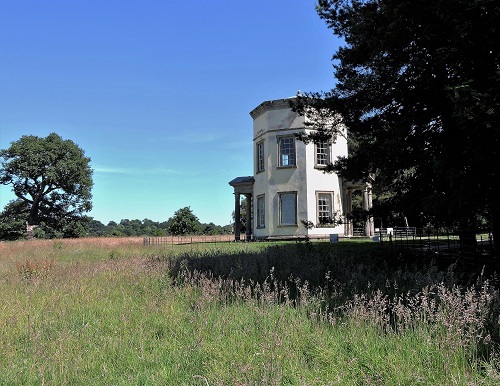 If you want to find places to stay near Shugborough Hall and Gardens, why not stay in one of our recommended hotels. Each hotel has genuine guest reviews enabling you to book from anywhere in the world in total confidence. Not only do we feature hotels near the garden, we also feature hotels worldwide and at all major airports. Special prices up to 70% off standard rates as well as hundreds of exclusive deals. 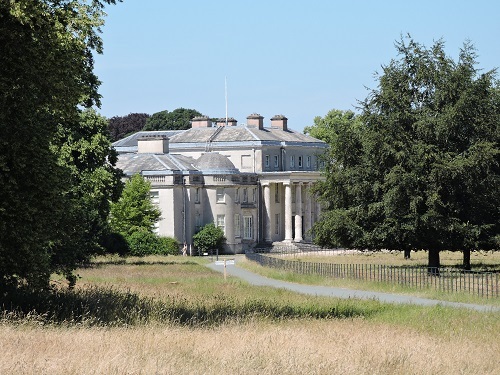 Shugborough Hall Hotels - click here.